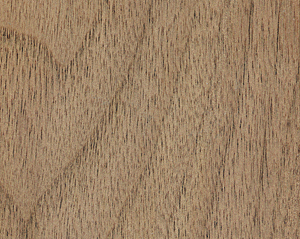 Sanding wood is a process that, if done correctly, makes the wood surface very smooth by "machining" the surface of the wood with a multitude of very small sharp edges; in other words, sanding is the process of removing surface imperfections, including scratches, from a surface and thereby making the surface smooth. The machining of wood, when sanding, is done by small pieces of abrasive with sharp edges. These sharp edges are fastened to a sheet of material called sandpaper. The degree of success when sanding wood depends to a large extent on the sandpaper used and to a lesser extent on the person or machine being used to do the sanding. Often smaller and smaller grits or particles are used in successive sanding operations to achieve an acceptably smooth surface. Choosing the correct sandpaper is important and yet is easy. There are perhaps 500 different types of sandpaper when all the possibilities are considered, but you can boil that down into the five basic sandpaper options: Commercial grade or industrial grade, grit material (aluminum oxide, garnet, silicon carbide or ceramic); grit size (typically 40, 60, 80, 120, 240, 360, 400, 600, 800, 2000); backing material and bonding agent (paper, cotton, polyester backing; hide glue or heat-resistant resins); and open-coat or closed-coat. Let's look at each option more closely. Commercial or industrial: Commercial grade sandpaper is the grade of paper found in hardware stores and most home centers and lumberyards. This is usually a good grade and can perform well for home and hobby uses. Industrial grade paper is made from higher quality materials and can better withstand the rigors of industrial uses and demands. Grit material: There are four primary abrasive minerals used in woodworking. They are aluminum oxide, garnet, silicon carbide and ceramic. Aluminum oxide is a granular material that has very sharp edges. If the mineral breaks when being used, new sharp edges are formed on the remaining material. This ability to leave sharp edges makes aluminum oxide sandpaper effective in removing wood quickly and yet the paper is long lasting. It also means that pressure from the sanding tool is not a negative, as far as the paper is concerned. Garnet is a granular material, but it has more rounded edges, especially as it wears and the granular crystals break. Although this round edge produces smoother finishes, it also means that sanding is slower, and the paper will tend to wear out faster. Because it rubs and burnishes the wood more, it is an excellent choice for final sanding. Silicon carbide is a very hard abrasive. It is excellent for sanding hard materials such as metal and plastics. It is commonly used on wet-dry sandpapers. Wood fibers are too soft to cause the mineral to fracture and develop new cutting edges, so this paper will seem to wear out quickly when used on wood. The most common use for this sandpaper in woodworking would be for sanding (smoothing) finishes between coats. 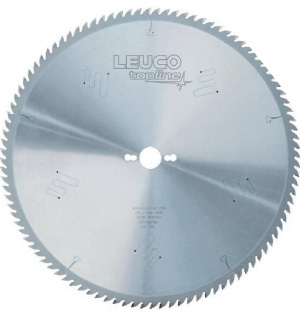 It is also used for sanding metal woodworking tools. Ceramic is an extremely hard abrasive. 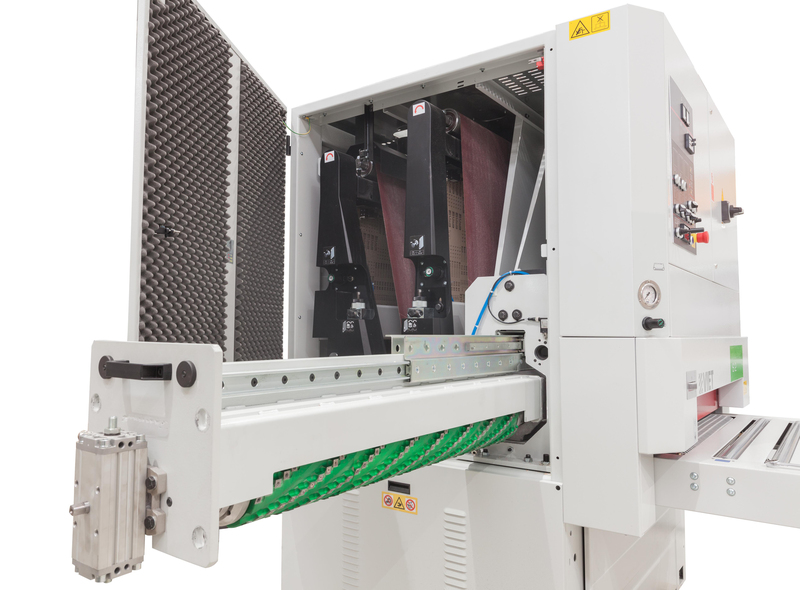 It would be used for rapid wood removal, such as with belt sanders and abrasive planers. It is durable and expensive, but it will not develop very smooth surfaces. Grit size: The size of the abrasive particles determines the rate of material removal and the smoothness of the resulting surface. Larger sizes, or grits, remove wood faster but leave a rougher surface. 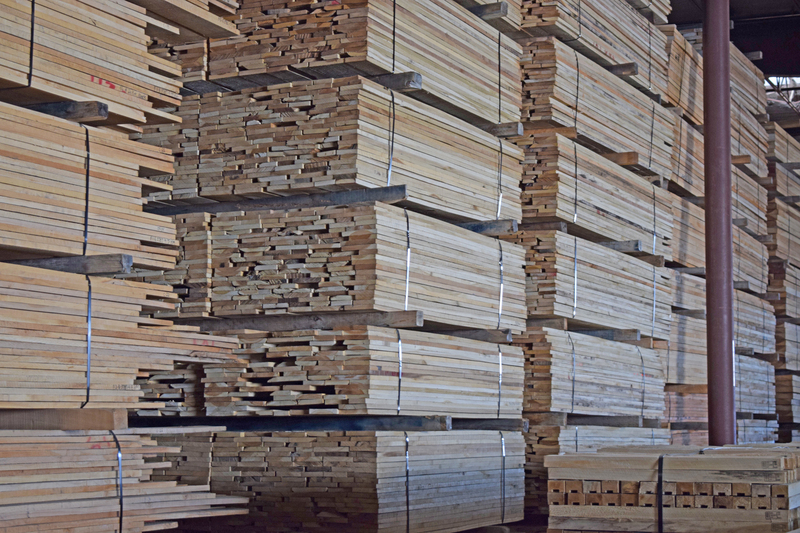 There are four different systems in use to indicate the grit size, but most North American woodworkers will only need to refer to the CAMI system. (The European system is similar, but a little coarser for equal numbers, and uses the letter "P" in front of the numeric designation.) Typical grit sizes for woodworking are, starting from the coarsest, 36, 60, 80, 100, 120, 150, 180, 220, 240, 280, 320, 360, 400, 500, 600, 800, 1000, 1200, and 1500. In general, but everyone has their own preferences, under 80 grit is coarse and would be used for high wood removal; 80 to 120 is medium and would be used for moderate amount of wood removal and removing scratches left by coarse sanding; 180 to 240 would be used to achieve a fairly smooth surface before the wood is finished, although some people prefer to go even finer (such as 320 or 360). Finer grits would be used mostly for sanding between finish coats or for polishing. Backing and bonding: The abrasive materials are fastened to a backing material. The primary backing materials are paper, cloth and fiber. Paper, which comes in various weights, is the most common for woodworking sandpaper. The heavier paper weights are used with lower grits to provide the needed strength; fine grits use low-strength paper, which is also more flexible. Cloth backing, typically stronger than paper, comes in various weights, with the heaviest weight used for the more severe uses. Cotton fibers are used most often, but polyesters, especially for the heavy weights, are also used. The abrasive particles are fastened to the backing with one or more coats of adhesive. Those papers using glue bonds (such as hide glue) are flexible, and hold the abrasive particles well enough for general applications. Gluing is used for the finer grits. For high stress and high usage, the glue bonds are not strong enough, so resin adhesives are used. Glue bonds use hide glue, instead of resin, for both the maker and size coats. Glue bonds don't hold the grits as well as resin bonds, but they do provide a smoother finish. Closed coat or open coat: If the abrasive particles essentially cover the backing completely, then the paper is called "closed-coat." If there is space between the particles and only about 1/3 to 3/4 of the amount of abrasive is used per area, then it is called "open-coat." Open coat paper will not load as quickly as closed coat. (Loading is the technical term for clogging.) Open coat would be used for resinous woods, for example. Closed coats give smoother surfaces, however. Another approach to reducing loading is to use zinc stearate on the paper, which is a dry lubricant. Source: Gene Wengert, the Wood Dr., is a columnist for Woodworking Network/FDMC magazine. Ask the Wood Dr. and articles can also be found under Wood Dr./Knowledge Center tab at WoodworkingNetwork.com.